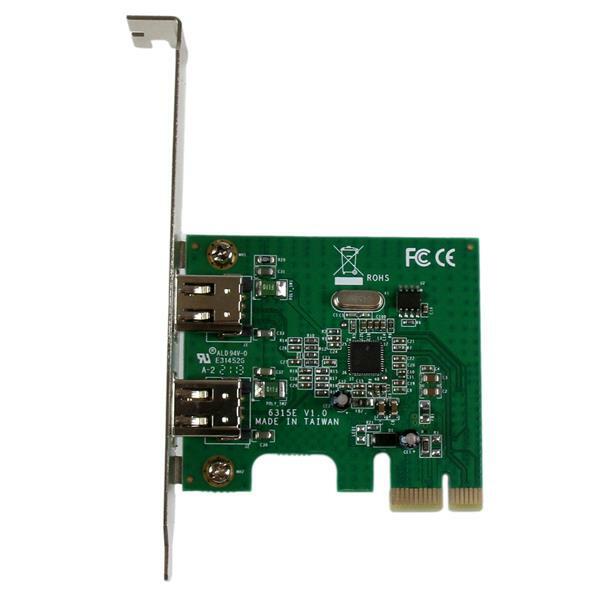 When two devices are simultaneously connected, this PCIe FireWire adapter reduces performance bottlenecks by offering support for data transfer rates up to 400Mbps to each port. 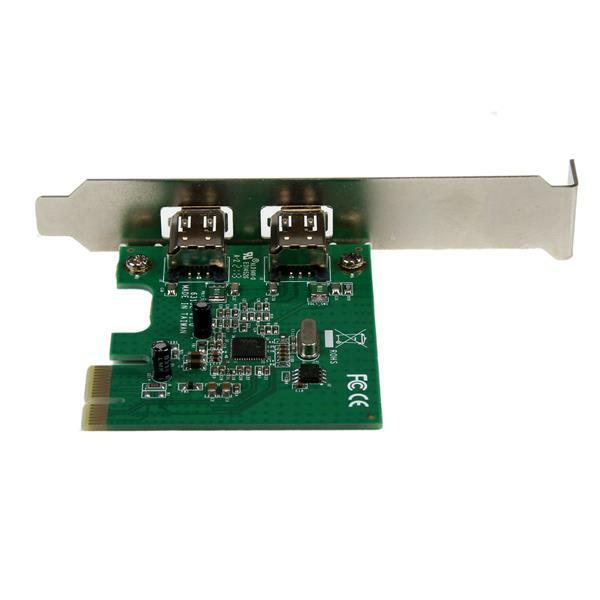 The FireWire card employs dual-bus architecture to provide the maximum bandwidth to each individually connected device, rather than sharing the bandwidth across multiple ports. 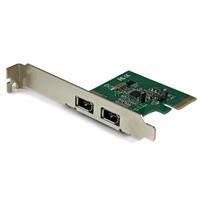 An ideal solution for transferring large volumes of data at once, the FireWire card also integrates a native PCIe single chipset design. 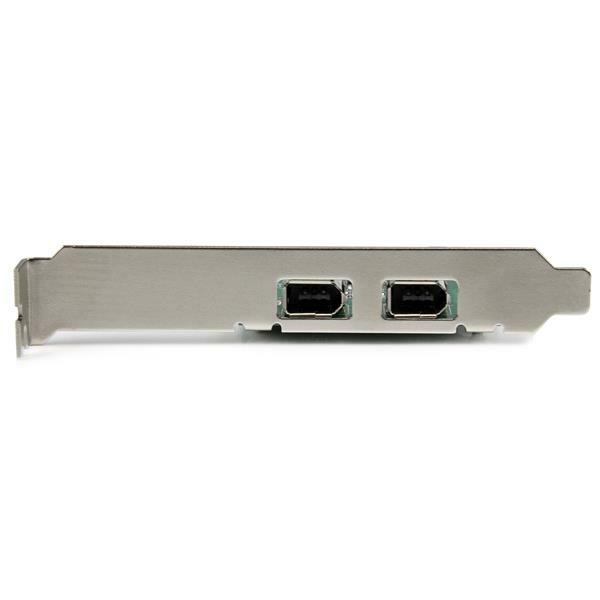 With no secondary bridge chipset, your FireWire devices communicate quicker with your PC to ensure seamless operation of your connected peripherals. 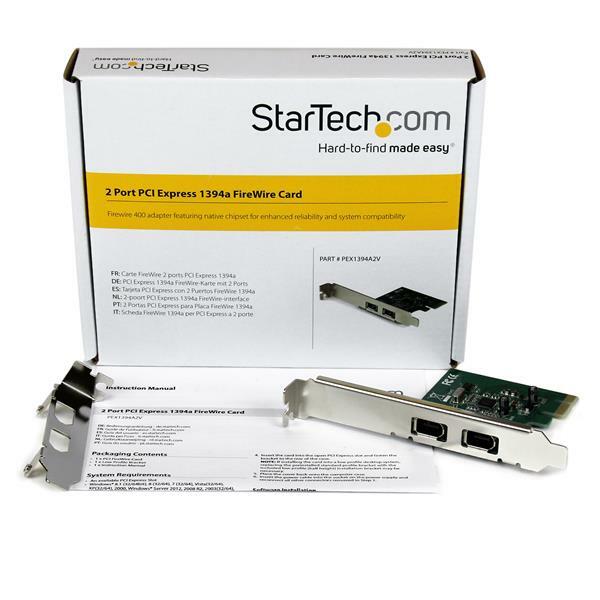 For broad compatibility, the FireWire card is natively supported in Windows® with no additional drivers required, is equipped with a standard profile bracket, and includes a low-profile/half-height bracket for installation in small form-factor computers.